If you would like to add a ride during a weekday, we need your numeric Meetup user id from your Meetup Settings page. Email that to rbcrides@gmail.com and we will get you going. 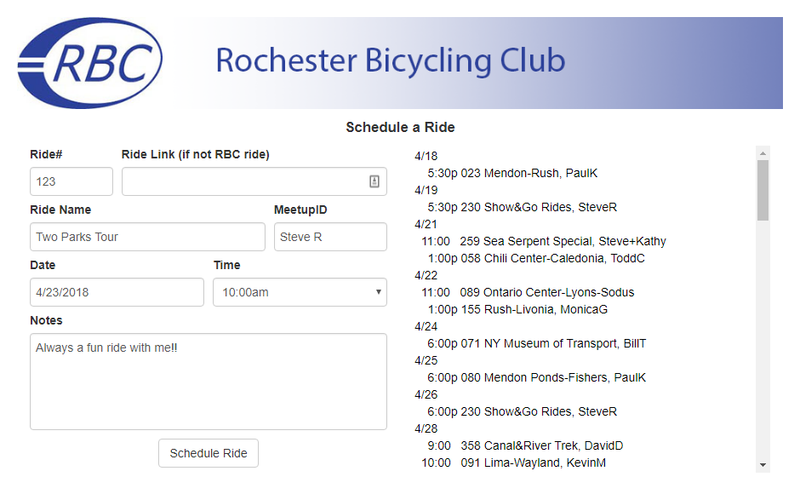 When scheduling, keep in mind that RBC rides are intended for *all* capable members, regardless of speed. As a leader, please do not inadvertently discourage riders from coming by specifying a speed range (including your own) or experience level. As long as a rider can do the terrain or distance, they are welcome on any RBC ride. Some of our most experienced cyclists ride at a moderate pace, and they usually find others they can ride with when the group has some diversity. Dynamics also come into play ("I think I'll drop back with Sally today") and things tend to work out. Help riders plan appropriate cuts if necessary, but beyond that, you are not responsible for them. Of course, if you want to support all who come, let folks know in your ride description (ie: that you will sweep the ride). Rides may be added on days and evenings when there is not already a calendar ride. This basically means weekdays and Monday & Friday evenings during our main season. Of course, any day out of season (ex: warm/dry day in winter) is OK, too! If you want to add special/unique rides (ex: trails, family, supported) on weekends or other times during the season, contact us at rbcrides@gmail.com to schedule. Rides are added through our Schedule a Ride page. It is simple to use (and mobile-friendly!). Enter an RBC map#/name (name field searches after 4 chars) or a link to your route (RWGPS, Strava, etc. 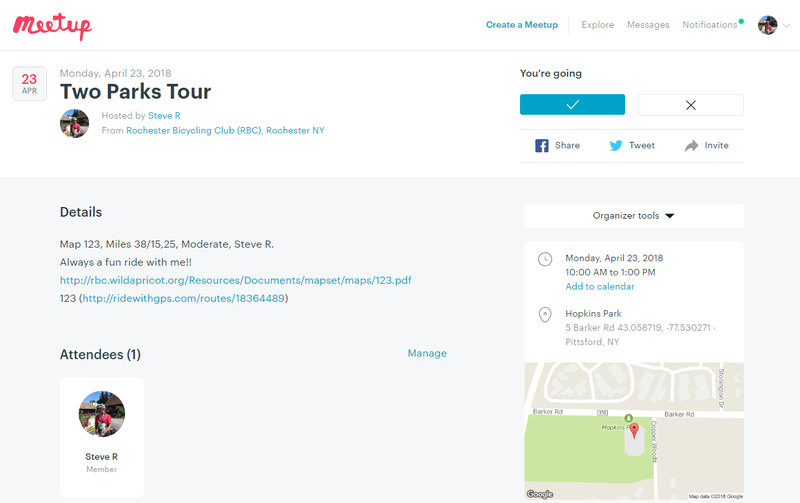 ), choose the date/time, ensure the ride has a name (it becomes the Meetup event title), and add any notes. You'll then be taken to the Meetup entry (which you will "own") for any further editing (you can set a starting location there, if needed). If you cancel the event, consider checking "Cancel AND delete it from the calendar?" so it does not linger on the calendar (else it remains as a strikethrough). You can also delete it from the Meetup calendar view (strikethrough or not).